Last year, North Korea’s Kim Jong-un and US President Donald Trump were hurling kindergarten insults at each other – “Rocket Man is on a suicide mission,” said Trump of Kim; “mentally deranged US dotard,” Kim retorted – while threatening to reduce East Asia to a post-atomic wasteland. Now, in a stunning and dramatic development, the two are to meet by May. Kim reportedly is willing to denuclearize and eager to talk directly to Trump, who has agreed. But optimism about this turn of events must be tempered with cautious realism. North Korea is the nuclear problem from hell. Neither South Korea nor the United States can control the narrative; definitions of success or failure are highly relative; and Trump must enter the talks with no exit strategy. The six decades since the Korean War ended in 1953 – with a ceasefire but no peace agreement – have hardened an increasingly dangerous stalemate. Although neither side is likely to launch a premeditated nuclear attack, the risk of war from miscommunication, misperception, or miscalculation is real. All key announcements so far have come from Seoul, not Pyongyang or Washington. President Moon Jae-in, a son of refugees from North Korea, was elected on the promise of a two-track approach to the North: sanctions and diplomacy. This led to the Olympic initiative whereby Kim’s sister, Kim Yo-jong, attended the Winter Games in Pyeongchang, and the two countries competed as one team. Afterwards, Moon’s national security adviser, Chung Eui-yong, and intelligence chief Suh Hoon traveled to Pyongyang and Washington, where, standing on the White House lawn with Cho Yoon-je, South Korea’s ambassador to the US – but with no US officials present – they announced the summit. North Korea conducted the first of six nuclear tests in 2006. The regime’s nuclear program has many components, and discussions could founder on what is to be proscribed, permitted, and reversed, and in exchange for what concessions by the US. Will the deal require freezing North Korea’s capability at current levels, or complete, verifiable, and irreversible denuclearization? The answer will depend on North Korea’s motives in getting the bomb and agreeing to talk. For the Kim regime, the main lesson from the fates of Slobodan Milošević, Saddam Hussein, and Muammar el-Qaddafi was that only nuclear weapons can neutralize US efforts at regime change. But the US never attacked North Korea in the decades after 1953, when it clearly did not have the bomb. Conversely, the North’s growing nuclear capability provoked the US into quietly preparing for war while hoping to avert one. Sanctions are an ineffective tool to force North Korea’s compliance with the UN’s demand that it give up nuclear weapons, and it could prove dangerous to conclude that their pain brought Kim to the talks. Similarly, the threat of US military strikes did little to concentrate Kim’s mind: even Western analysts do not find that threat credible. The US lacks the ability to identify, locate, and destroy all three categories of nuclear targets: warheads, bomb production infrastructure, and delivery vehicles. North Korea also has formidable conventional military capabilities, and estimates of human casualties could total as many as 25 million, depending on the types of weapons used, the geographical theater of the conflict, and the countries sucked into it. In February, Moon said: “The United States needs to lower its bar for dialogue and the North, too, must show its willingness to denuclearize” as critical first steps. The summit became possible because the US acceded to that counsel, turning its demand for denuclearization, which had previously been a precondition for talks, into a goal of negotiations. But Kim will not trust unilateral US guarantees. Therefore, any deal would require the support of China and Russia, economic and energy assistance from Japan and others, and endorsement by the UN Security Council. China and Russia have welcomed news of the direct talks, but Japan is uneasy. All parties will explore six elements of a deal that North Korea is seeking: a peace treaty to replace the 1953 armistice, comprehensive sanctions relief, an end to US-South Korea military exercises, diplomatic recognition, acceptance of North Korean space activities, and nuclear energy assistance. The North must halt all nuclear and missile tests until the summit, and sanctions will remain in place. But will the US and South Korea suspend military exercises? To North Korea, complete denuclearization means the withdrawal of US extended nuclear deterrence from the peninsula. The Kim-Trump summit is an opportunity that will be difficult to seize and easy to squander. For example, if Trump decertifies the Iran nuclear deal on May 12, ahead of the summit, the move would almost certainly call into question America’s good faith and ability to honor negotiated international agreements. Moreover, there is the general matter of Trump’s ignorance, lack of foreign-policy experience, and the many unfilled posts in the US State Department. There is still no US ambassador in Seoul, and Joseph Yun, US Special Representative for North Korea Policy, retired this month. Without extensive diplomatic groundwork, the wily Kim could outsmart Trump. 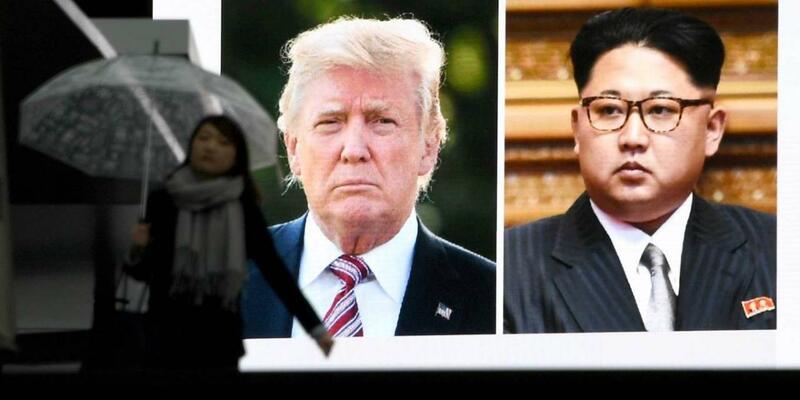 Participation in the Winter Olympics and willingness to sit down with Trump have already given the North a propaganda boost, and a summit with the US president will confer legitimacy on Kim. Yet Trump has proven to be pragmatic, not ideological. His transactional approach could prove the key. Whether genuine or tactical, Moon has constantly praised Trump’s tough stance of maximum pressure as helpful to gaining Kim’s interest in a possible diplomatic solution. Moreover, Trump carries no historical baggage, and his decisiveness, even if rooted in impulsiveness, could provide the necessary breakthrough to overcome decades of accumulated inertia. Trump’s ability to reverse himself and deny having done so could be equally advantageous. If a good deal is on the table, nothing the US has done, or that Trump has said in the past, will stop him from seizing the moment. On such slender threads of hope hang nuclear peace. Copyright: Project Syndicate: Could the Kim-Trump summit succeed?